If you’ve ever tried to grow anything in your garden you’ve probably had your share of unrealized visions. In your rookie year perhaps the tomatoes never turned red or the strawberries got munched by bugs. If those mishaps didn’t deflate you enough to replace the whole yard with a bocce court, you probably rebooted your spade and tried some different approaches before the next growing season. You may have moved the tomatoes to a sunnier spot and planted some dandelion to see if it would attract ladybugs with an appetite for your unwelcome strawberry-eating visitors. As the tomatoes got a wee bit tastier and you celebrated your first strawberry (stolen by a finch, of course! ), you got inspired and started thinking a bit broader. Perhaps you planted an apple tree and added a bee hive to your garden. You got more curious about soil and water, and started experimenting with compost and catchment bins. The more attention you paid to all the individual residents — both macro and micro — the more visible the interrelatedness between them became. After watching and listening to your new garden community for a few seasons, you realized that the best way for any individual member to thrive with as little upkeep, energy, water, or pest control as possible, the overall design had to befit and benefit everyone else proportional to their needs and capabilities. You may have moved your daily attention-grabbing strawberries closer to the house and the more resilient dandelion further away. Perhaps you acquired some chickens for their eggs, just to discover that they could also be put to work tilling the topsoil and picking weeds and bugs. 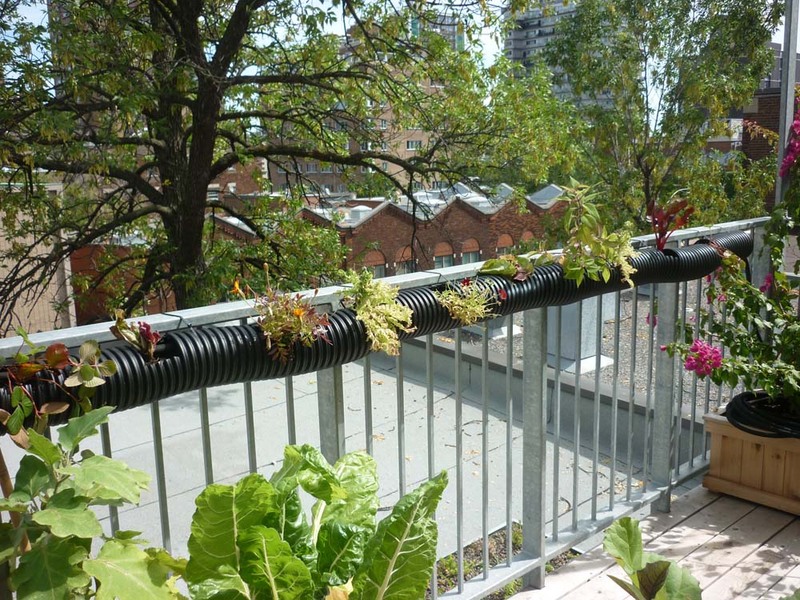 Layer by layer, you cultivated a web of life that could sustain itself on the collective strength of all its threads, making maximum use of the natural climate, soil, and vegetation surrounding your home. In the process, you may have been comparing notes with other gardeners and reading books about this kind of holistic approach to farming. 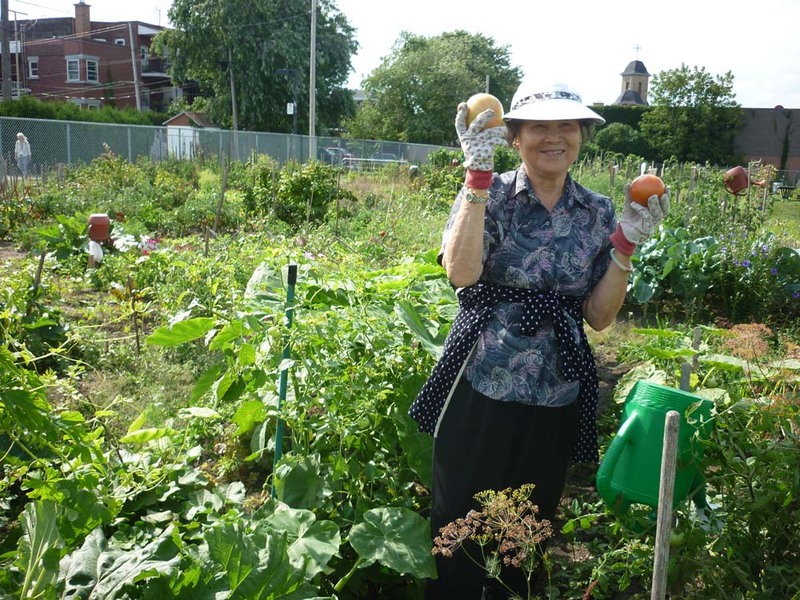 You may even have started calling it permaculture, but really, all you were doing was being patient and paying careful attention to your environment and its natural rhythms. You could have a garden. You could live in the city. Or you could turn your city into a garden. Chances are none of this is shockingly new to you if you’re an experienced gardener. In fact, there is probably very little I could tell you about cultivating your personal plot, as I am the tenant of a small second floor apartment in the dense urban jungle of San Francisco, with a landlady who would be rather annoyed if I practiced my green thumb by rearranging her potted plants. However, the reason I am invoking the power of a whole systems view of our immediate environment is to build a mental bridge to the biggest things we build — cities. In the age of rapid global resource depletion, loss of biodiversity, and increasing occurrences of extreme floods and droughts caused by the burning of fossil fuels that power our energy-intensive and pollution-prone industrialized infrastructures, re-imagining our cities as living breathing organisms is no longer just a boutique thought experiment but a matter of necessity and survival. The number of cities worldwide with over 750,000 inhabitants has quadrupled over the last 50 years. Over 70 percent of the world’s greenhouse gases are generated in cities. And by 2050, almost three out of every four people on the planet are projected to live in urban areas. We’re rapidly pushing up against the Earth’s carrying capacity, and the lion’s share of our rapacious appetite for resources is originating from poorly designed metropolises covering but 3 percent of the planet’s surface. To put it bluntly: if we don’t fix our cities, we can forget about the gardens. By 2035, two billion cars are projected to fill the world’s roads. What if cities were designed so most people could get around without one? This is not to say that our gardens aren’t important. In fact, the opposite is the case: the way we interact with the land around us is more important than ever. It’s just that those among us who have developed a deep relationship with the natural mechanisms of their personal plots are now called upon to stretch themselves even further and become change agents of the larger, human-built plots we inhabit — our neighborhoods, towns, and cities. Equipped with the insights gained from the soil, few are better suited to become architects of ecocities and ecovillages than the small farmers of the world. Shifting our built environments from the current linear blocks of car-centric urban sprawl to more integrated human-scale and life-sustaining organisms is not much different in principle than turning a concrete yard into a permaculture plot. We have to think in terms of arrangement of vital nodes, distance between interdependent threads, paths of least resistance, utilizing existing natural conditions, and maximizing water, energy and food sources. For example, if a city dweller is forced to operate 4000 pounds of automobile to buy a gallon of milk at a nearby store, it is no different than a farmer having to constantly drench her vegetable beds because her soil does not contain enough organic matter to hold the water. The whole systems solution to the short-distance shopping dilemma, therefore, is not to build a bigger parking lot but to create better and safer walking and biking paths. 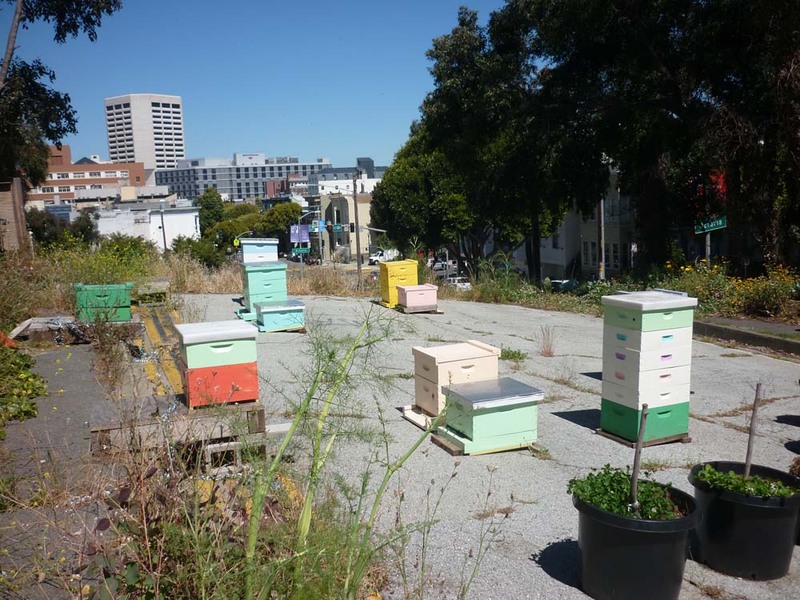 Imagine bee hives on former freeways! And yet, if we are to survive and thrive as a species on this planet, those of us tuned in to the regenerative powers of a diverse natural environment have no choice but to expand our knowledge and reach to the built environment, and by extension, the most challenging of all terrain — the mental environment. Making comprehensive change in a human settlement more than anything requires skills that resonate with the human heart and mind — from dialog and creative expression to reason and foresight. Ecocity-aspiring models and examples of ecovillages are in plain sight already. But to scale up the efforts and build the critical mass needed to replant the world’s urban seeds, more horticulturists need to take their knowledge of the land to cities and towns and expand their vocabulary from sheet mulching and rainwater harvesting to include zoning and land use, planning and development, policy and politics, culture and history, economy and equity. 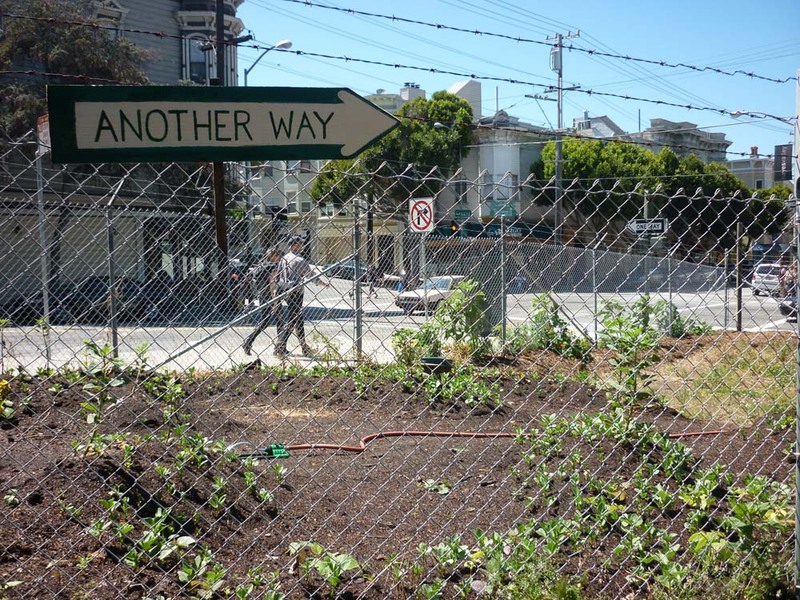 That, and turn abandoned lots into urban gardens. Sven Eberlein is a writer, musician and activist living in San Francisco with roots in Germany. In addition to his work with Ecocity Builders, Sven is a contributing writer at Yes! Magazine and Shareable. His focus is on sustainable cities, zero waste, ecological design, clean energy, green and sharing economy, post growth, and conscious evolution.